There was an interesting post on Facebook recently. The question was if a death certificate said "cirrhosis of the liver" did that mean the person had died of overuse of alcohol? 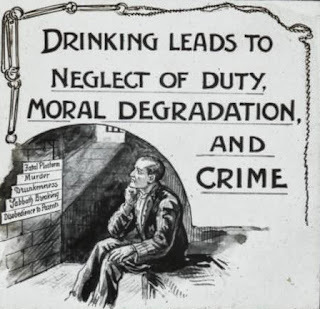 Over use of alcohol has been prevalent throughout all stratas of society leading to adverts like this. Cirrhosis: irreversible change in the normal liver tissue that results in the degeneration of functioning liver cells. The liver cells are replaced with fibrous connective tissue. The term is used when there is scarring of the liver. It was interesting reading the replies as a fair number of people answered yes. Now if you have personal or family knowledge in your family that the person had issues with alcohol or perhaps substance abuse then you are able to make that statment when you see cirrhosis on a death certificate. While it is possible to die of acute alcohol poisoning the symptoms would have been very different to cirrhosis. Another cause of death relating to alcohol is death by methanol poisoning. Methanol is a form of alcohol made from wood instead of starches. Methanol poisoning occurs when methanol is ingested and the methanol is converted to formic acid during metabolisation in the liver. This is poisonous to the central nervous system, and can cause blindness, coma, and death. So if the cirrhosis was not caused by alcohol what are other potential causes? Would it surprise you to know that the causative agent of cirrhosis in the past was unknown in around 50% cases? This was prior to the discovery of the Hepatitis B virus (1965), Hepatitis D virus (1977) Hepatitis C virus (1989) and modern diagnostic tests. Cystic fibrosis, alpha-1 antitrypsin deficiency, haemochromatosis, Wilson disease, galactosemia, and glycogen storage diseases. The inherited diseases can interfere with how the liver produces, processes, and stores enzymes, proteins, metals, and other substances the body needs to function properly. Cirrhosis can therefore result from these conditions. Other causes of cirrhosis include drug reactions, prolonged exposure to toxic chemicals, parasitic infections, and repeated bouts of heart failure with liver congestion. Non-alcoholic fatty liver disease (NAFLD): In this cause fat builds up in the liver and eventually causes cirrhosis.Again there is a range of causes including obesity, diabetes mellitus type 2, protein malnutrition, coronary artery disease, and corticosteroid medications. So is there a way to give more weight to a alcohol cause of cirrhosis in the past as after all we can't use modern diagnostic techniques? We can however do some trawling through the records. 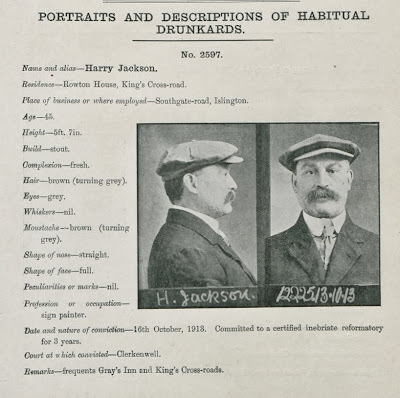 Ancestry has released records of Habitual Drunkards in Birmingham. I reckon you would be pretty safe suspecting cirrhosis due to alcohol overuse in this instance. Other records to peruse are the newspapers local to the area they lived. Were they going up before the courts for "drunk and disorderly" "being intoxicated in a public place", "using abusive language" etc Again in these instances it would support alcohol as a cause. However if you find none of these records perhaps you have been maligning your ancestor? this as a factor in forensic scenarios, even as it is culturally the go-to-cause and culprit for deaths. It takes a strenuous scholarship to draw it in, and see how it really plays out in such a situation.